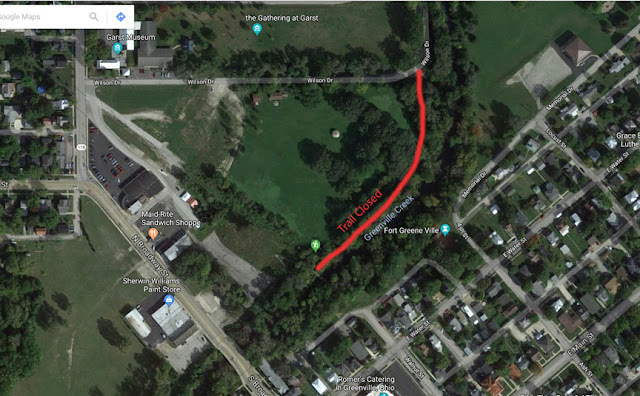 There will be a trail closure at Prairie Ridge Meadow, part of the Darke County Park District located between North Broadway and Wilson Drive. The closure will begin near the trestle bridge and continue Northeast towards Wilson Drive. This trail will remain closed until likely late autumn. The site will be part of the construction for Phase VI of the Tecumseh Trail and modifications are underway. Please use caution in the area as there may be machinery and/or other equipment present during this time. Contact the Park Offices at 937-548-0165 for questions.